Ryan joined the business in 2013 and started as an administrative assistant for Beaufort Investment. In 2018 he broadened his remit and took on the role of Assistant Manager of the Group’s operations department. He is now responsible for implementation of all model portfolio changes and updates. 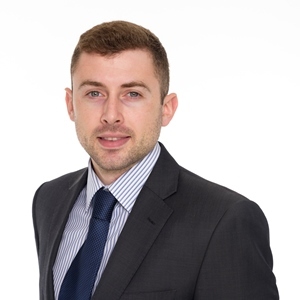 Ryan’s core focus is to ensure the operations team develops robust and efficient processes around portfolio changes and these are implemented across the board. Over the past couple of years Ryan has been expanding his knowledge and building his skillset. He has sat key exams and successfully acquired qualifications including: Level 3 IOC+ and level 4 Managing Operational Risk and he is looking to take the level 6 Diploma in Global Operations in Financial Institutions in 2019. Ryan is also an Associate member of The institute of Securities and Investments. Outside of work you will certainly see Ryan involved in some sort of sporting activity and is a dedicated gym goer. Ryan has a wide range of tasks which he tackles head on. I find him to be highly dedicated and eager to learn.